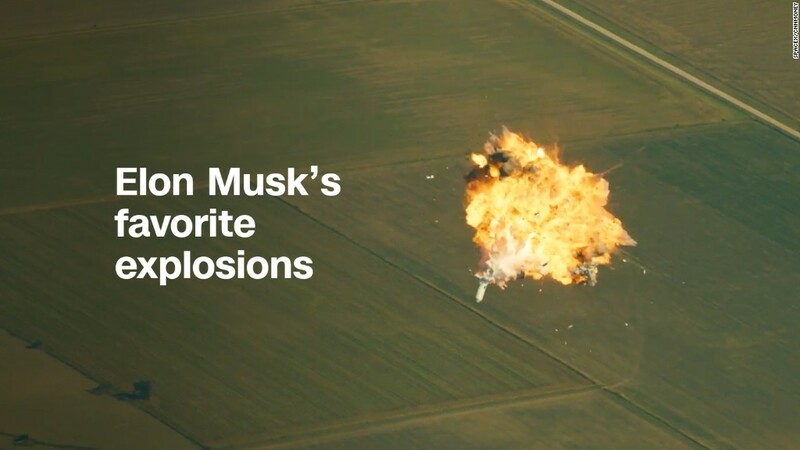 Get ready for the next phase of Elon Musk's most fantastical idea. The eccentric tech mogul is scheduled to appear Friday at the 2017 International Astronautical Congress in Australia, where he's expected to unveil a broad update to SpaceX's plans to colonize Mars. It was one year ago at the same conference that Musk laid out the first blueprint. SpaceX will build a towering rocket with 42 engines that could be four times more powerful than any rocket ever built. Musk's nickname for the rocket is BFR, or "Big F--king Rocket." The massive rocket will carry spaceships -- capable of holding about 100 people (plus their luggage) -- into Earth's orbit. While the spaceships and their passengers hang out in orbit, the rocket will return to Earth and quickly prepare to send up another payload: fuel. After multiple fuel deliveries top off the spaceships, and when Mars is in ideal orbital alignment with Earth, the spaceships will begin their trek to Mars. It'll take a few months, possibly as little as three, for the spaceships to make the long journey. Once on Mars, people will construct -- and live in -- contained buildings with compressed atmosphere. Colonizers will also need to build a fuel plant for return trips to Earth. The goal, Musk said at the time, is to eventually get a self-sustaining colony of at least one million people up and running on Mars within 50 to 150 years. But don't take the details at face value. Musk said earlier this year the plan has had to "evolve quite a bit." 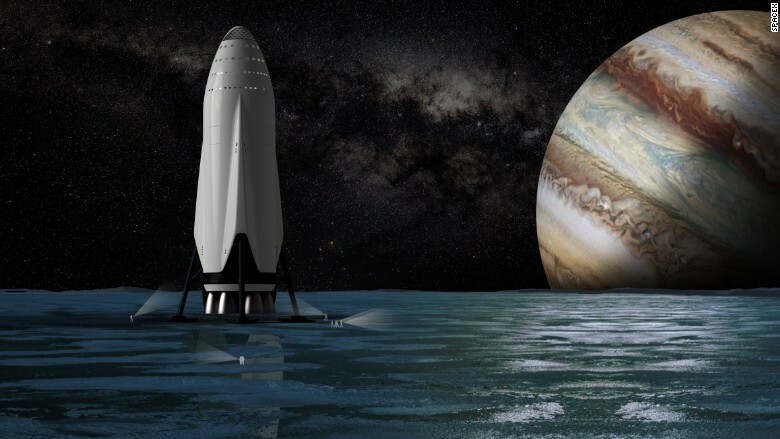 SpaceX posted artists' renderings of its Interplanetary Transport System last year. On Friday, he's expected to clue us in on what's changed. Musk has already hinted he'll reveal plans for a smaller rocket. That could be aimed at addressing a key question: How will SpaceX pay for all this? Developing and manufacturing these massive and highly complex pieces of hardware will cost untold amounts of money, and downsizing the rocket is one way to keep expenses down. Even still, funding this project is not simple. And even if SpaceX does find the capital to build its Mars transportation system, finding people willing to pay for such an excursion is the next hurdle. During his 2016 presentation, Musk said he hopes a ticket to Mars will one day cost a single traveler as little as $200,000 -- the medium price of a home in the United States. So even if SpaceX can find hundreds of people willing to give up life on Earth for hostile terrain, it won't be an easy ticket to afford. And $200,000 is almost certainly low-balling the price point. Using the most advanced technology humankind has built up until this point, the trip would cost $10 billion per person, by Musk's own admission. That mean's the tech SpaceX develops would need to be so efficient it improves the "cost per ton to Mars by five million percent," according to SpaceX. SpaceX -- which Musk founded in 2002, a year before the birth of Tesla (TSLA) -- is known mostly for its disruptive arrival to the commercial space industry. It's won lucrative contracts sending communications satellites into orbit for corporate giants and delivering cargo to the International Space Station via contracts with NASA, beating out legacy aerospace companies in the process. But for Musk, all that is just means to an end. He created SpaceX with the intent of sending people to live on Mars. "I think it's important to have a future that is inspiring and appealing. I just think there has to be reasons that you get up in the morning and you want to live," Musk said during a TED Talk in April. "If the future does not include being out there among the stars...I find that it's incredibly depressing." SpaceX's breakout successes have inspired a new generation of rocketeers. Thriving Reddit pages are dedicated to following its every move. And even though Musk's Mars plans may sound far-fetched, many in the tech and science community are dead serious about immigrating to other planets. Stephen Hawking, one of the most famous and venerable cosmologists of all time, said earlier this year that humans need to settle extraterrestrial colonies -- warning the human species could face extinction within the next 100 years thanks to climate change or disease. NASA has also declared Mars ambitions. The space agency is currently underway on its own massive rocket, called Space Launch System, and spacecraft that could be capable of making the trek. Boeing (BA) -- SpaceX's competitor in the commercial space industry -- has said it plans to beat SpaceX and NASA to the Red Planet. "I'm convinced that the first person to step foot on Mars will arrive there riding on a Boeing rocket," CEO Dennis Muilenburg said last year. And Lockheed Martin (LMT), a frequent Boeing partner in the aerospace field, has plans for a "Mars Base Camp," which could be complementary to SpaceX's efforts.